Although they are available as dietary supplements, it is not necessary to use special pills, potions, cleanses or other concoctions to incorporate prebiotics and probiotics into your diet. These "nutrition boosters" are natural ingredients in everyday food. Food are more readily available for absorption and digestion. While research continues in this area of nutrition — investigating how effective and safe these substances are and how much we need to obtain health benefits — here's what we know now. 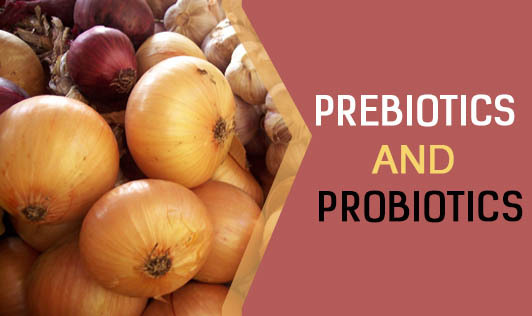 Prebiotics include fructooligosaccharides, such as inulin and galactooligosaccharides. But rather than focusing on these lengthy words, include more prebiotics in your diet by eating these foods: bananas, onions, garlic, leeks, asparagus, artichokes, soybeans and whole-wheat foods. To obtain more probiotics, enjoying fermented dairy foods including yogurt, kefir products and aged cheeses, which contain live cultures (for example, bifidobacteria and lactobacilli). Some non-dairy foods which also have beneficial cultures, include kimchi, sauerkraut, miso, tempeh and soy beverages. The bottom line: At minimum, prebiotics and probiotics are keys for good gut health.Incorporating health-promoting functional foods, such as foods containing prebiotics and probiotics, into the diet potentially aids in creating a healthier you.